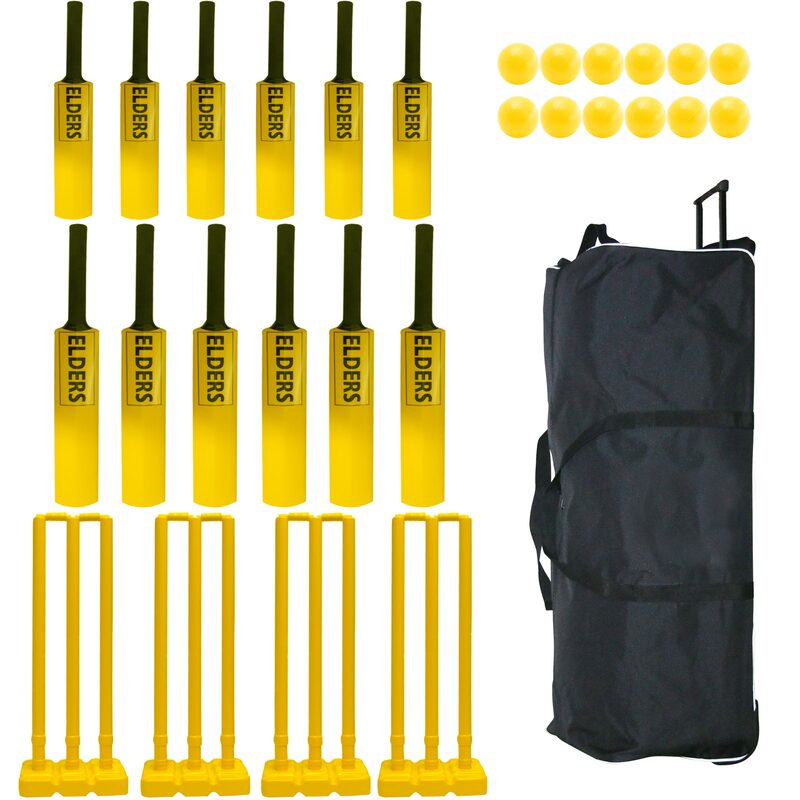 Elders Cricket Coaching Set - new and a better specification range of equipment. Elders Cricket Coaching Set contains everything you need for a great game. 1 x Jumbo Wheeled Holdall. 6 x Size 0 Elders Cricket Bats. 6 x Size 3 Elders Cricket Bats. 4 x Elders Plastic Cricket Stump Sets. 12 x Elders Cricket Windballs. 6 x Size 5 Elders Cricket Bats. great quality and very cost effective set.